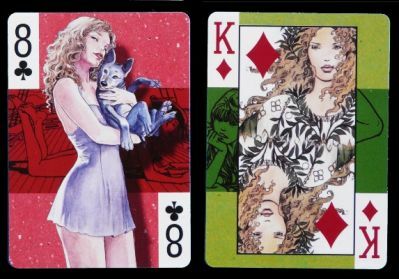 After studying architecture and painting, Milo Manara illustrated many comic-books like L’uomo di carta (The Paper Man), Il gioco (Click) or the Kamasutra. The Panini Group, through its licensing division TLM, and Milo Manara have signed an agreement allowing TLM to put together the enormous corpus of stories and illustrations in high-definition digital form. 53 illustrations have been chosen to make this nice pack of cards. Price and where to find: From 8 € to 10 €.